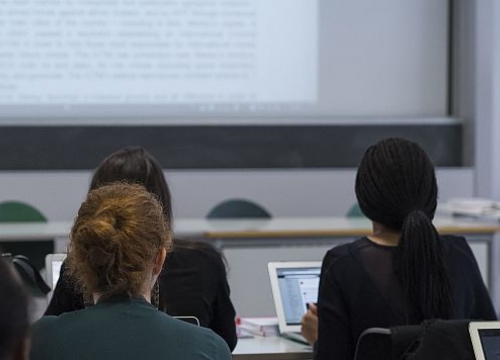 The Geneva Academy provides post-graduate education, conducts academic legal research and policy studies, and organizes training courses and expert meetings. We concentrate on branches of international law that relate to situations of armed conflict, protracted violence and protection of human rights. Established in 2007 by the Faculty of Law of the University of Geneva and the Graduate Institute of International and Development Studies, the Geneva Academy has acquired a global reputation for excellent teaching and research, and it attracts students of high quality to its master’s and training programmes. Our graduates are employed around the world, promoting and protecting international humanitarian law (IHL) and human rights in governments, NGOs, international organizations and academic institutions. The Geneva Academy thus contributes to the dissemination of legal knowledge in these crucial sectors. Our scientific research focuses on clarifying IHL, strengthening human rights protection, and developing the areas of complementarity between IHL and international human rights law. In these areas, the Geneva Academy makes a specific contribution to policy development and debate, in government and among scholars and practitioners. The Geneva Academy is a cosmopolitan community located in the heart of Geneva, an international city and humanitarian hub. Through close interaction with international organizations, NGOs, experts, and governments, we actively participate in global discussions on IHL, human rights, international criminal law, and transitional justice.